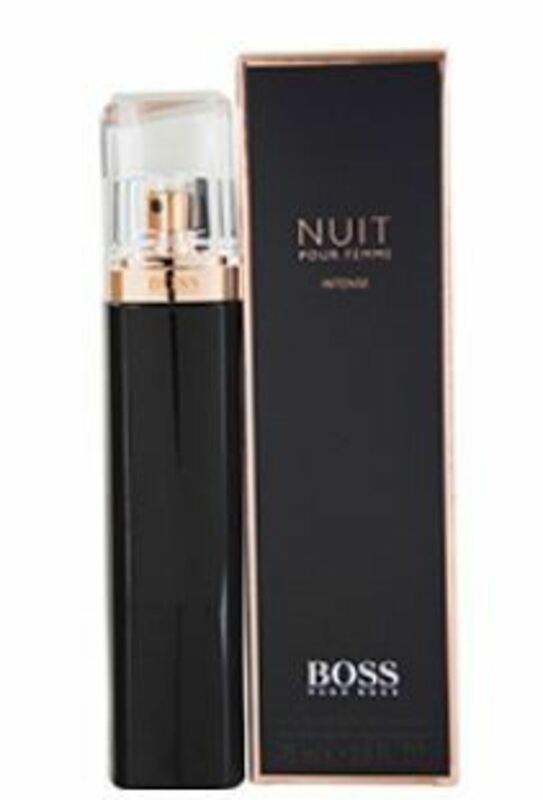 Apply Boss Nuit Pour Femme Intense to your neck and pulse points anytime you want a fragrance that's elegant and memorable. Created by the scent designers of Hugo Boss in 2014, this women's fragrance features top notes of peach and jasmine, while the floral heart of violet leads you into the luxurious base of jasmine and sandalwood. Wear this to any event where a touch of elegance and style is required to allure those around you and give you the confidence you desire. WatchMaxx.com sells only 100% authentic, brand new merchandise, complete with the manufacturer's packaging and a minimum 2-year guarantee with service or repair by WatchMaxx. 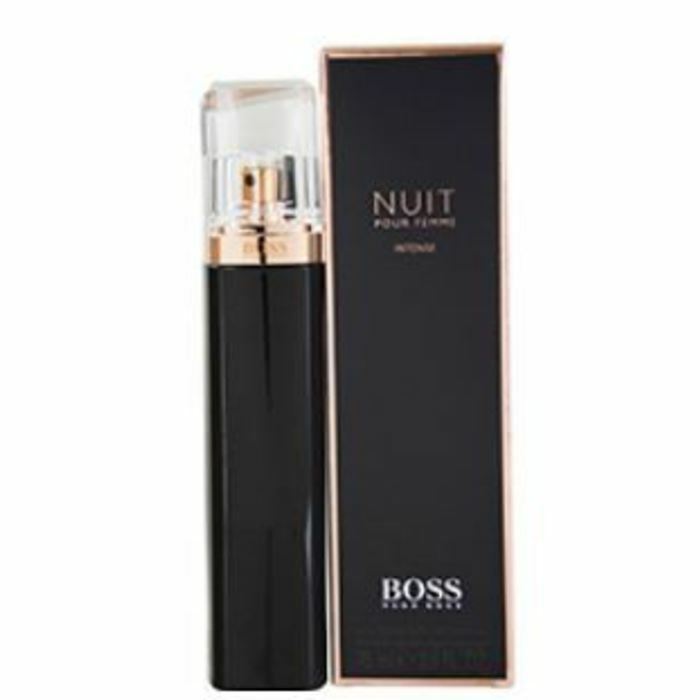 WatchMaxx offers products from the world's finest and most respected brands, such as this Hugo Boss Cologne BossNuit Intense EDP Spray 2.5 oz Men's Fragrance 737052796567.